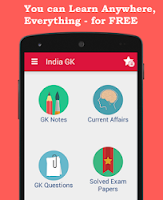 Current Affairs MCQs of 31 July 2015: Current Affairs Daily Multiple Choice Questions (MCQs) for India GK, World GK and current affairs with Collection of daily objective type Question by www.Indiagk.net based on General Knowledge (GK) and General Science (GS) Questions for UPSC, State PSC, SSC, Police exam, Railway exam, SBI, Bank PO, IBPC, SSC, LDC, UDC, Army, Airforce, Navy, Coast Guard, Bank Clerk, TET and all entrance examination with current affairs News, Multiple Choice Questions (MCQs) available on Website www.IndiaGK.net and Android Apps with daily updates:. Cyclone Komen is related to which ocean ? Guru Purnima Festival is celebrated on the full moon day (Purnima) of ....... Month ? National Handloom day is observed on ? Which government on 31st July 2015 Notified "Witness Protection Scheme 2015"
Which city will host Winter Olympics 2022? ISRO-NASA to jointly working on NISAR mission. Mission is related to ?